The Gorillapod has to be one of the most popular mini camera stands available on the market today, well now there is a new version designed for mobile phones and PDA’s, the Gorilla Pod Go-Go. The Gorilla Pod Go-Go comes with the same standard screw adapter as the original Gorilla Pod, as well as a suction cup adapter designed for mobile phones and PDA’s, which is perfect for the iPhone. 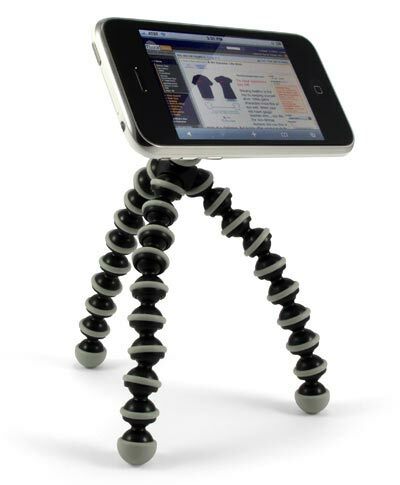 The Gorillapod Go-Go is available to buy online for $29.99 from Think Geek.